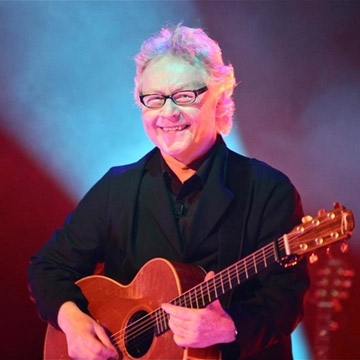 Singer, songwriter and multi-instrumentalist Paul Brady is one of Ireland’s most enduringly popular artists. Born in Belfast and raised in Strabane, Northern Ireland, on the border with the Irish Republic, he was interested in a wide variety of music from an early age. A Fifties child, his first sounds the Swing, Jazz, Show tunes of his parents generation. Then 50’s Rock ‘n Roll, 60’s pop and Motown, Blues, R’nB and Country and Western. Through all this ran the potent flavour of Irish traditional music and song.